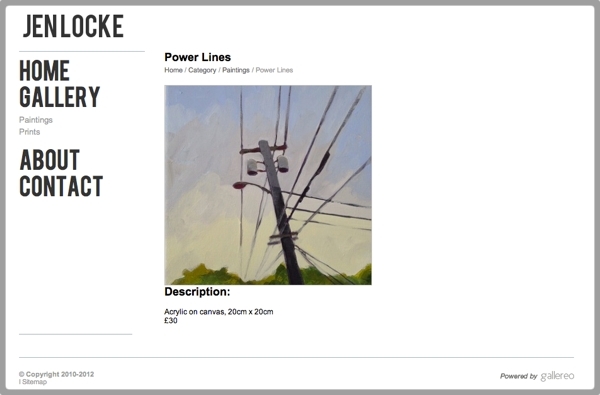 This week, we'd like to present to you the work and website of artist, Jen Locke. Jen was born just outside of New York City, but is now a resident of Newcastle-upon-Tyne in England. Having studied for an MA in fine art, Jen now splits her time between work at the Laing Art Gallery, painting and spending quality time with her two small children. 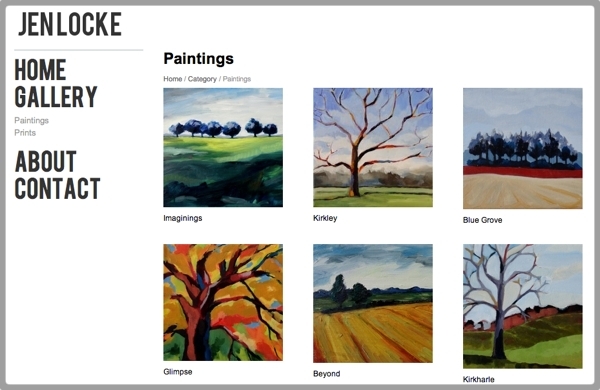 Jen works in oil and acrylic, which lend themselves nicely to the wonderfully bright colour palatte that you can see on her new website. Jen states that she enjoys the depth of colour that you get with oil paint, but prefers the immediacy of acrylics. The artwork focuses on landscape and the natural environment, with a distinct boldness of colour that calls upon the mood of the scene, as much as it does the subject matter and form of the landscapes themselves. 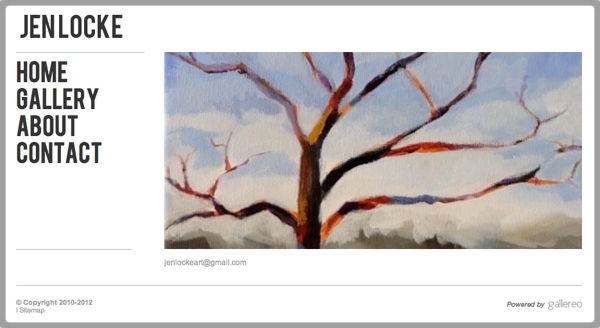 Jen's gallery is an absolute pleasure to view, I implore you to visit.